The postponed Woytopia festival at Umina Markets has been declared a success. The postponed Woytopia Sustainable Living Festival held at the Umina Beach Markets on November 18 was a success, according to Peninsula Environment Group organiser Mr Mark Mann. The group cancelled the regular Festival at Woy Woy South Public School due to torrential rain flooding the festival site. 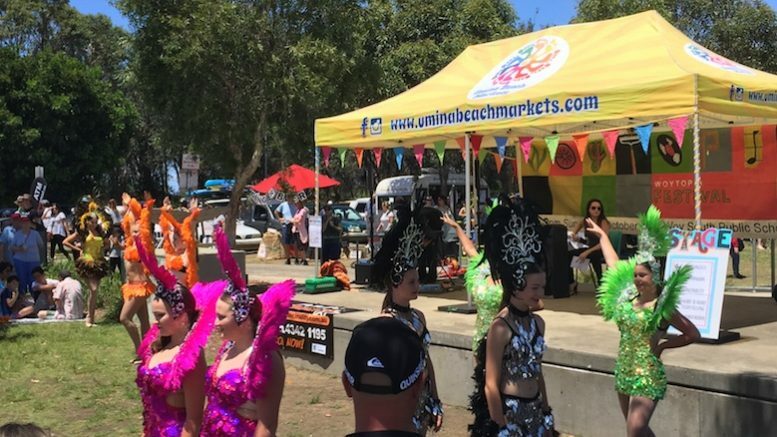 “Volunteers, stallholders, speakers, entertainers and musicians and visitors came along and made our Woytopia at Umina Beach Markets a great success,” Mr Mann said. “After the disappointment of having to cancel the regular Woytopia Festival, we’re so happy that we could still put on a great little event for the Peninsula community,” Mr Mann said.